VeryPDF PDF Repair is specially designed to recover corrupted PDF files. It can repair multiple PDF files one time. The repaired PDF files are saved without open and permission password. Users can use it to repair damaged PDF files and remove permission restrictions. VeryPDF PDF Repair recovers damaged PDF files without help of other PDF software. 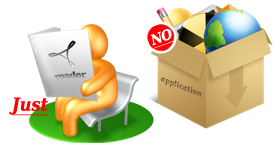 A user need not install any PDF application to facilitate the repair operation of the application. However, if you want to open the repaired PDF files, you would need a PDF reader. 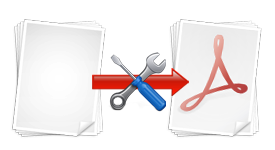 VeryPDF PDF Repair can directly repair and reconstruct PDF files that are protected by permission password (also called owner password or master password). The repaired PDF file will not be protected by the original permission password any more. However, to remove the open password (also called user password), you have to input the password to the application before repairing. VeryPDF PDF Repair can recover more than one PDF files one time. If you need to repair multiple PDF files, put these PDF files in the process queue, and then the application will fix them at once. No need for a third-part PDF application. 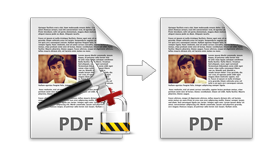 Batch process to repair multiple PDF files. Save repaired PDF files without open (user) password. Display the real time process while repairing.